With increased trade in livestock products offering a possible antidote to high food prices, livestock experts from the Middle East and 12 African countries are meeting this week (13-16 June, 2011) in Dubai to develop a strategy that eliminates the need to impose devastating bans on livestock imports from the Horn of Africa, as prevention against the spread of Rift Valley fever. The strategy should expedite the flow of livestock products while increasing safety of the overall livestock trade in the region. Convened by the African Union’s Interafrican Bureau for Animal Resources (AU-IBAR), the International Livestock Research Institute (ILRI) and the United States Agency for International Development (USAID), the workshop will encourage officials and livestock traders to use a simple ‘Decision Support Planning Tool’ to guide and moderate their responses to Rift Valley fever outbreaks. The ‘decision support tool’ for Rift Valley fever was developed by 30 experts and decisions-makers from across the Horn of Africa with technical assistance from researchers at ILRI, the United Nations’ Food and Agriculture Organization (FAO), and other partners. The tool will be used by chief veterinary officers and other national decision-makers. Its framework identifies the sequence of events likely to occur as the risk of a disease outbreak increases. Rift Valley fever is a mosquito-borne virus found in eastern, western and southern Africa, Yemen and Saudi Arabia. Epidemics emerge periodically with prolonged rains. 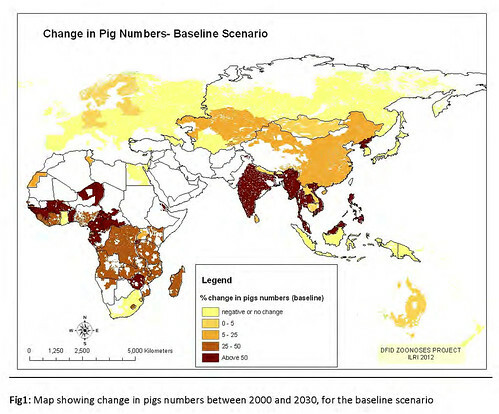 Climate and land-use changes could make outbreaks more frequent. A study done by ILRI economists Karl Rich and Francis Wanyoike indicated that the Rift Valley fever outbreak in 2007 cost Kenya at least USD32 million. ‘We must avoid unnecessary disruptions in agricultural trade between East Africa and the Middle East,’ said Ahmed El Sawalhy, director of AU-IBAR. ‘Livestock products must be safe and action concerning disease outbreaks must be in line with the actual threat.’ To this end, an animal health certification model suitable for pastoral livestock production systems and that promotes OIE standards has been developed by AU-IBAR in partnership with FAO and the Royal Veterinary College, London. The model is based on risk assessment and involves integration of both upstream animal health inspection and certification at entry points, markets and at the quarantines. Rift Valley fever is best prevented through animal vaccination. But vaccines are expensive and few governments are willing to pay for expensive vaccines unless evidence indicates an epidemic is imminent. Regional cooperation is required to build consensus on managing the disease and to prevent trade disruptions. A young boy herds a flock of goats on the road to Wajir from Garissa in northeastern Kenya, an area that has experienced outbreaks of Rift Valley fever, which kills both livestock and people (photo by IRIN). Rift Valley fever occurs in East Africa as explosive outbreaks separated by prolonged periods of 8 to 10 years when the disease disappears. The episodic nature of the disease and the rapid evolution of outbreaks create special challenges for controlling the disease. Following 2006/2007 Rift Valley fever outbreaks in East Africa, decision-makers assembled their collective experiences in the form of a risk-based decision-support tool to help guide responses in future emergencies. Because a series of natural events are indicative of an increasing risk of an outbreak of Rift Valley fever, actions should be matched to this evolving risk profile. The decision-support tool is a living document written through stakeholder input. 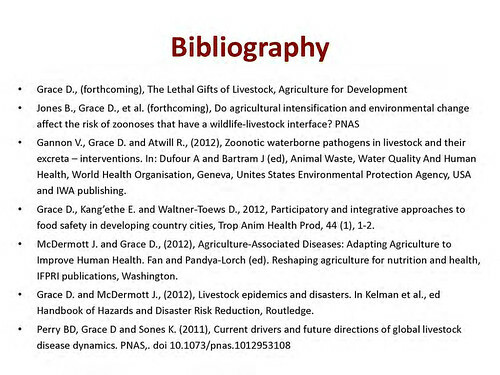 At a workshop convened by the Food and Agriculture Organization of the United Nations (FAO) and the International Livestock Research Institute (ILRI) and held at ILRI's headquarters, in Nairobi, Kenya, in late March 2008, participants generated the initial material, which was then compiled and edited into the first draft of the decision-support tool. 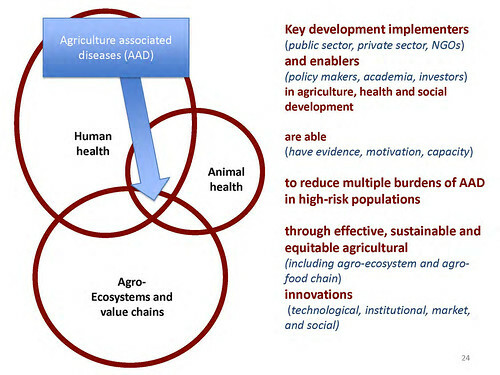 The first draft of the decision-support tool was then exposed to critical review by close to 100 participants at the United States Centers for Disease Control's Rift Valley Fever Workshop 2008, 'Scientific pathways toward public health prevention and response,' held in Nairobi in early May 2008. 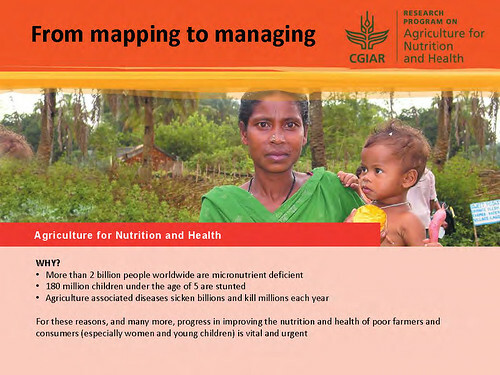 A small group drawn from participants at the initial workshop reviewed the revised document at a meeting held at ILRI in September 2008 and final changes recommended by them have been incorporated into this version. This decision-support tool has been reviewed and approved by the FAO's Emergency Center for Transboundary Animal Diseases of the Regional Animal Health Center, Nairobi. The tool was developed with stakeholders under a project managed by ILRI and funded by the FAO Emergency Coordination Office for Africa. Read more: The American Journal of Tropical Medicine and Hygiene, Decision-support tool for prevention and control of Rift Valley fever epizootics in the Greater Horn of Africa, 2010. Rift Valley fever is a mosquito-transmitted zoonotic disease that harms both human health and livestock production. It can also induce large, often overlooked, economic losses among many other stakeholders in the livestock marketing chain. A new paper published by ILRI scientists Karl Rich and Francis Wanyoike assesses and quantifies the multi-dimensional socio-economic impacts of a 2007 outbreak of Rift Valley fever in Kenya. The study is based on a rapid assessment of livestock value chains in the northeast part of the country and a national macroeconomic analysis. As would be expected, the study results show losses among producers in food security and incomes. But the researchers also found significant losses occurred among other downstream actors in the value chain, including livestock traders, slaughterhouses, casual labourers, and butchers, as well as among those in non-agricultural sectors. To better inform policy and decision making during animal health emergencies, the authors argue that we should widen our focus to include analyses that address the multitude of economic losses resulting from an animal disease. 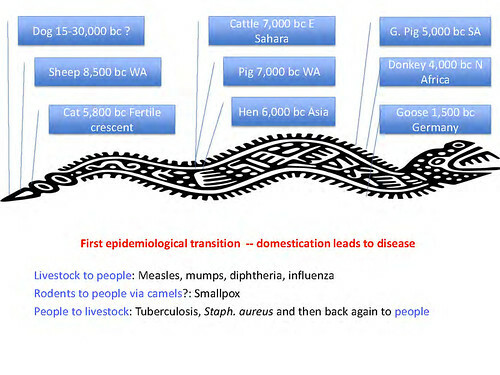 ‘Rift Valley fever has had significant impacts on human and animal health alike in East Africa and the Middle East. 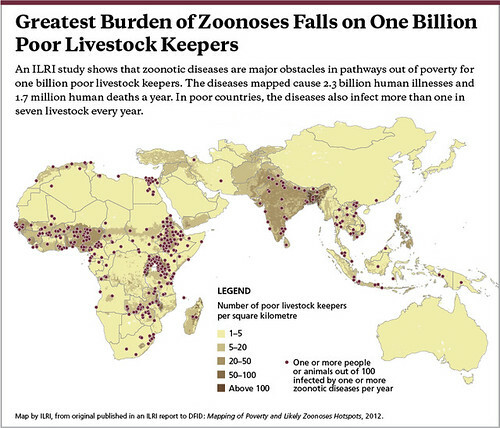 Past outbreaks in South Africa (1951), Egypt (1977/78), Kenya (1997), and Saudi Arabia (1998–2000) resulted in the cumulative loss of thousands of human lives. 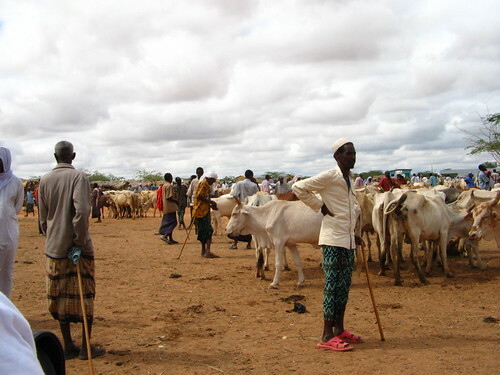 The 2000 outbreak in Saudi Arabia led to the imposition of trade bans of live animals from the Horn of Africa (Ethiopia, Somalia, and Kenya) that had devastating economic impacts: one study estimated that total economic value-added in the Somali region of Ethiopia fell by US$132 million because of these trade bans, a 42% reduction compared with normal years . . . .
‘In 2007, Rift Valley fever returned to East Africa, impacting both Kenya and Tanzania. Specifically hard hit by this latest outbreak were the pastoral communities of the northeastern part of Kenya. In this region, livestock serve an important livelihood function for pastoralists, with livestock trade representing over 90% of pastoral incomes . . . . Moreover, northeastern Kenya has the highest incidence of poverty within Kenya, with poverty rates of approximately 70% in 2004 . . . .
‘An overlooked component in the socio-economic analysis of animal diseases is the multiplicity of stakeholders that are affected. Rift Valley fever does not just affect producers, but also impacts a host of other service providers within the livestock supply chain and other parts of the larger economy. Cumulatively, these downstream impacts can often dwarf the impacts of the disease at the farm level, but public policy tends to concentrate primarily on losses accruing to producers. The failure to capture these diverse impacts may have important implications on the evolution and control of disease that may accentuate its impact. Read more: An Assessment of the Regional and National Socio-Economic Impacts of the 2007 Rift Valley Fever Outbreak in Kenya, by Karl Rich and Francis Wanyoike. Rich is on joint appointment with ILRI and the Norwegian Institute of International Affairs, in Oslo. ILRI researcher Wanyoike is based in Nairobi. Their paper is published in the American Journal of Tropical Medicine and Hygiene, 83(Suppl 2), 2010, pp. 52–57. The Scientific and Technical Review features ‘participatory epidemiology’ – a customer-oriented approach to disease control and surveillance that is being successfully applied in the battle against bird flu in Indonesia. The latest issue of the World Animal Health Organization’s (OIE) Scientific and Technical Review contains 21 articles submitted by experts from all over the world describing different animal disease surveillance, control and elimination strategies, including an article on ‘participatory epidemiology’ for the control of deadly animal diseases. Participatory epidemiologists rely on local knowledge to gather data on how disease is spreading, kept in circulation, and which diseases have most impact on livelihoods, from the perspectives of those affected. This ‘customer-oriented’ approach is throwing up surprises and proving to be working well for a variety of diseases that have big implications for animal health and veterinary public health worldwide. The authors of the paper, ‘Participatory epidemiology in disease surveillance and research’, from the International Livestock Research Institute (ILRI), Food and Agriculture Organization of the United Nations (FAO), Ministry of Agriculture, Jakarta and United States Agency for International Development (USAID), summarise current field applications of participatory epidemiology and highlight lessons learned, future challenges and possible new areas for research. 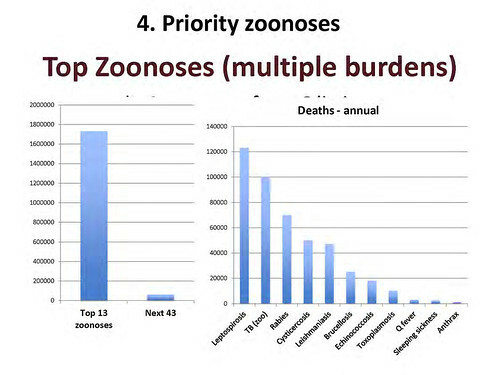 They argue that with the increasing international focus on emerging and re-emerging zoonotic diseases (animal to human transmitted), there is an urgent need for better integration of veterinary and public health surveillance programmes. Traditionally, veterinary authorities and scientists approach disease outbreaks by making expert diagnoses and devising control solutions, with little involvement or consultation with the farmers affected. Participatory epidemiologists work differently and livestock keepers play a central role as key informants. 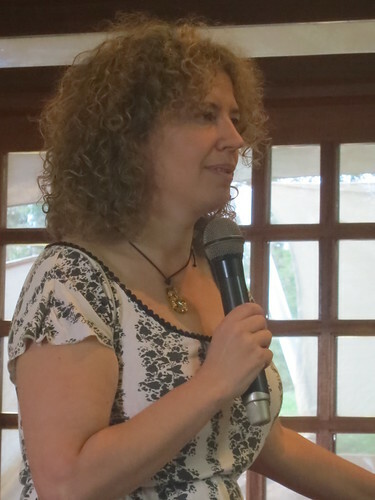 ILRI’s participatory epidemiologist, Christine Jost explains, ‘Participatory epidemiologists understand the importance of tapping into local knowledge and encouraging the participation of people affected. 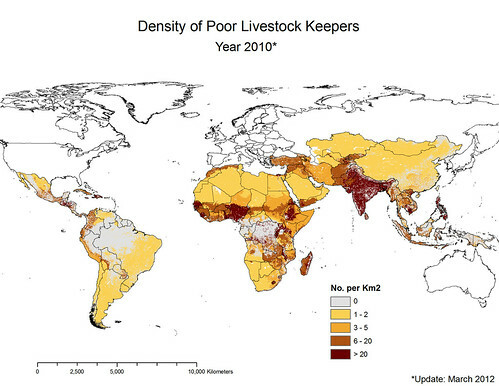 By involving local livestock keepers, we can gather valuable data on how disease is spreading and kept in circulation. ‘We go out into local communities and we talk to villagers. Local livestock keepers are critical in helping us establish livestock disease prevalence, symptoms, recent outbreaks, and also the impacts of different animal diseases from their perspectives. This approach is very much community centred and ‘customer-oriented’, says Jost. This customer-oriented approach has thrown up some surprises which and reinforced the importance of actively involving local livestock keepers in disease control and surveillance plans and assessing disease priorities. In Pakistan, authorities had previously thought that Foot and Mouth disease had the most important economic impact on farmers. However, participatory epidemiologists found that most farmers could cope with production losses from Foot and Mouth disease, but they could not cope with the impact of haemorrhagic septicaemia. These farmers took a more holistic view and considered risks and coping mechanisms, alongside economic impacts, when they prioritised diseases. 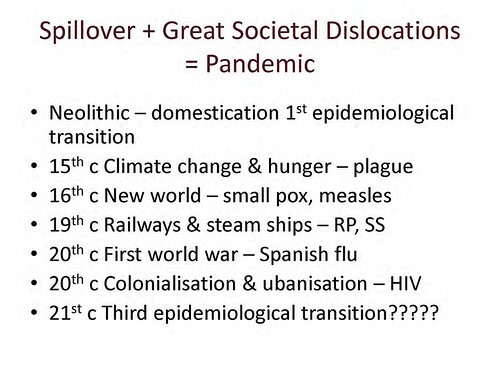 This resulted in a rethinking of how diseases were prioritised by authorities. In Indonesia, participatory epidemiologists, highlighted the true extent of bird flu. The avian influenza programme was first implemented in Indonesia in 2006 as a pilot programme and this has been rapidly expanded. When the programme was initiated, the extent of bird flu infection was not known. 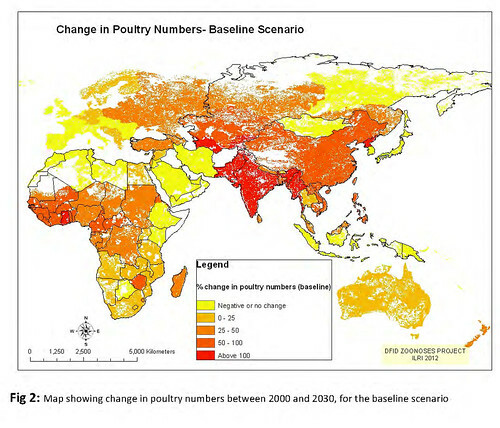 However, participatory epidemiologists found that bird flu was circulating unimpeded in backyard poultry, and within the first 12 months of operation, 800 disease events were detected. The large number of outbreaks detected overwhelmed the response capacity of the district animal health infrastructure, and led to recognition of the need to re-evaluate the national control strategy. 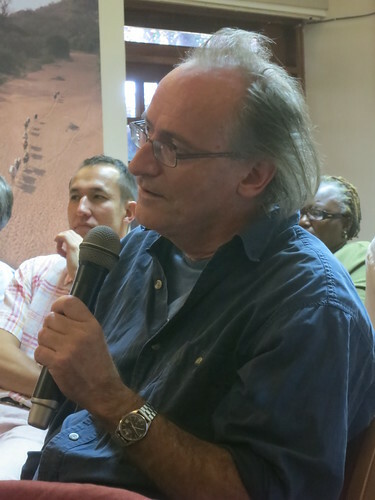 In Kenya, ILRI participatory epidemiologist, Jeff Mariner, led a multi-disciplinary team of participatory epidemiologists, economists and social scientists who assessed the impacts of the recent Rift Valley fever outbreak (a total of 684 human cases including 155 deaths of RVF were reported in Kenya between November 2006 and March 2007). This United States Agency for International Development (USAID) funded project generated some surprising results. One of the key findings was the importance of monitoring livestock owners’ local observations in early warning systems for preventing future outbreaks of the disease. The team is now about to start a follow-on project, contracted by FAO with USAID funds, to apply those lessons to Tanzania, and to develop guidelines for government decision-makers in Kenya and Tanzania so that they can have policies that more effectively take into consideration livestock owners’ knowledge for Rift Valley Fever prevention and control. 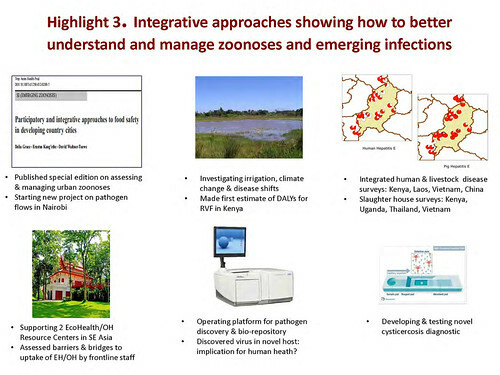 While veterinary participatory epidemiology approaches are proving to be working well for various diseases, the authors of the Review paper argue that with the increasing international focus on emerging and re-emerging zoonoses, there is a need for better integration of animal health and public health surveillance programmes. Traditionally, there is little collaboration or sharing of information between the veterinary and public health sectors. However, in Indonesia, the two sectors are now working together and applying participatory approaches in the fight against bird flu. 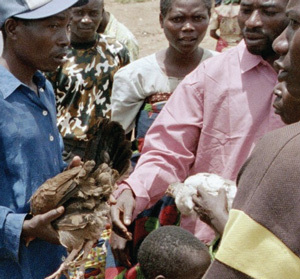 Veterinary participatory disease surveillance is being used to target participatory public health surveillance to the most at-risk human populations – those whose poultry are experiencing outbreaks of active disease. ILRI is also involved in another project in Indonesia, which commenced in August 2007. This is being funded by USAID. According to Jeff Mariner, ‘This project focuses on different applications of participatory epidemiology methods in research. ‘We are testing the impact of alternative avian influenza disease control strategies on disease incidence, as well as testing the feasibility of various control options from an operational and livelihoods viewpoint’ says Mariner. 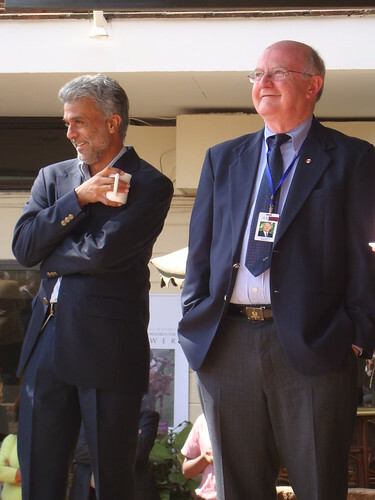 Mariner, Jost and colleagues are also involved in a pan-African project – Participatory Approaches to Disease Surveillance in Africa (PADSA) – which began in October 2007. The project, scheduled to be completed in two years, involves research to evaluate and apply participatory risk-based approaches to bird flu surveillance and to document lessons learned. Expand the field of participatory public health through active research to identify public health surveillance and response gaps that can be filled using participatory methods. Provide advocacy for policies that recognise veterinary services as integral to public health. Create effective models for integrating public health and veterinary surveillance, including the development of unified ‘public health’ databases. 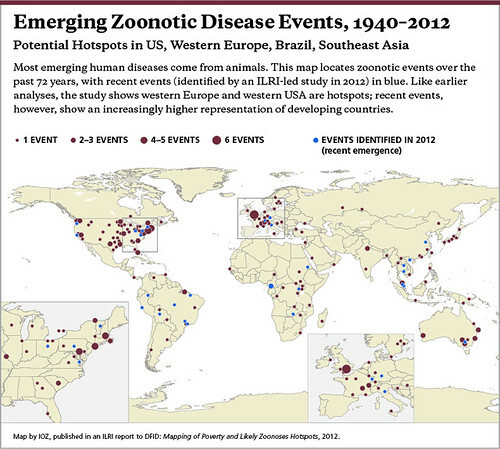 One step forward has been the establishment of the Participatory Epidemiology Network for Animal and Public Health. Its purpose is to advance the science of participatory epidemiology through targeted research, capacity building, policy enhancement and practitioner education. 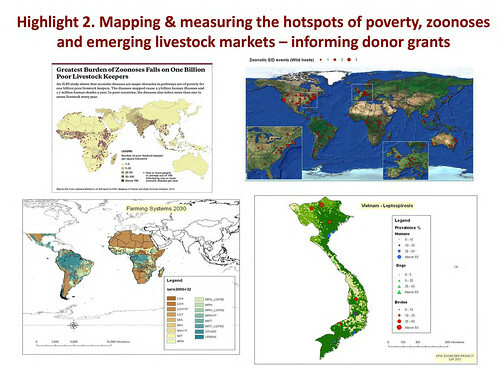 The network is coordinated by ILRI and includes FAO, OIE, AU-IBAR, and nongovernmental organisations experienced in participatory epidemiology methods. Rift Valley fever is a viral disease of people and ruminant animals transmitted by mosquitoes. 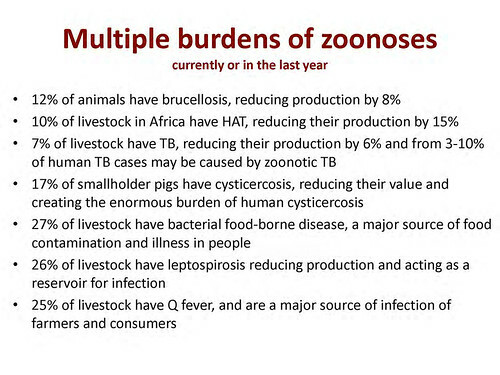 Epidemics frequently present as extensive abortion storms in small ruminants and cattle combined with heavy mortality in young animals. In people, the disease is most often a febrile illness without serious consequences. In a low percentage of human cases (about 1% or less), hemorrhagic complications can arise. Blindness also occasionally results. 118 deaths have been confirmed since the outbreak in November 2006 in the North-eastern province and coastal region of Kenya. The disease is transmitted by the bite of infected mosquitoes or heavy exposure to aerosols in situations such as the slaughtering of infected animals. Outbreaks of the disease are associated with changes in local water resource management or periods of heavy rainfall. Examples have been the construction of new dams or El Nino rain events such as the one in East Africa in 1997-98 when there was a major outbreak of Rift Valley fever in Kenya and Somalia. The virus has been shown to over-winter in infected mosquito eggs. At the onset of the rains, infected mosquitoes transmit the disease to suitable amplifying hosts such as small ruminants. If vector densities are sufficiently high due to favourable environmental conditions, this starts a cascade-like recrudescence of the virus in the host and vector populations, leading to an epidemic. Severe human cases, although an infrequent outcome of infection, are often the event that triggers recognition that an epidemic is under way. There is need to develop early warning systems and to validate prevention and control strategies that can mitigate the evolution of outbreaks. 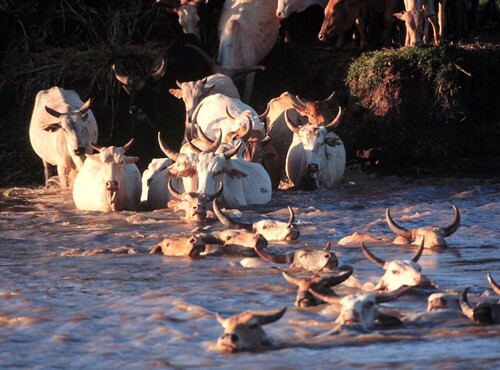 Rift Valley fever causes serious economic losses in livestock particularly in cattle and sheep, although goats, camels, Asian water buffalo and wild antelopes may be vulnerable. • What is the economic impact of an RVF outbreak, particularly in terms of distribution, livelihoods, international trade, public health, and other macro-level factors? 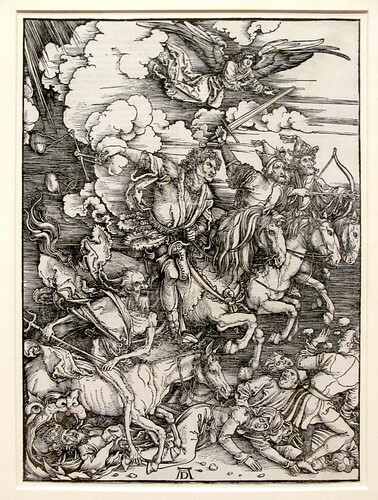 How does the disease affect unrelated sectors (e.g., tourism)? • How has the disease broadly affected trade patterns in livestock products from the horn of Africa and what are potential future impacts? How can these be mitigated? • How effective are current vaccines in their ability to prevent disease and how frequent are side effects? There are two types of vaccines currently in use, both of which have serious disadvantages. For human use, a ‘killed vaccine’consists of formalin-inactivated virus for restricted use. It requires several doses and annual revaccination. It is not approved for general distribution and is used only for laboratory workers and other specialized groups. A live, attenuated vaccine is approved for use in livestock. It induces a solid, life-long immunity but may cause abortions if administered to pregnant animals. • What is the epidemiological impact and cost-effectiveness of alternative types of vaccination and movement control strategies? How can these tools be best used in the face of outbreaks like the one we are experiencing now? • Can diagnostic tests for the disease be improved to make them more ‘user-friendly’ for field workers and remote laboratories? Is it possible to develop good diagnostic tests to distinguish between active and past infections, and to distinguish previously exposed animals from vaccinated animals? 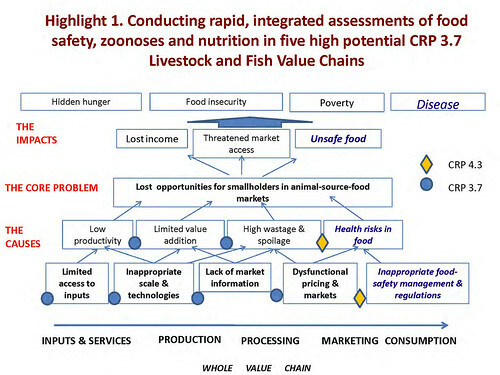 • How can we enhance decision-making and promote the application of risk-based standards to ensure safe international trade of livestock products and scientifically sound trade restrictions? The Nairobi-based International Livestock Research Institute (ILRI) is actively seeking to become engaged in two areas. In diagnostics, ILRI recently held discussions with the Kenya’s Department of Veterinary Services and South Africa’s Onderstepoort Veterinary Institute (OVI). OVI have developed a field-based test to diagnose RVF infection in cattle. This test requires only the application of a small blood sample to the device with a result obtained in about three minutes. Such a test has advantages over a laboratory-based test, in terms of speed of diagnosis and no need for electricity or other equipment. Although the test has profed successful in the laboratory, it has yet to undergo extensive testing in the field to ensure that it is sufficiently accurate. It is envisaged that ILRI will be involved in this testing, using samples from the current outbreak. • Sensitise key stakeholders, particularly in government of the epidemiological and economic magnitude and impact of the current outbreak in Kenya. ILRI is in discussions with the WRP-CDC teams to define roles specific for ILRI in the areas of assessing the socio-economic impacts of the disease, participatory epidemiology and surveillance, and the interface between livestock and public health. ILRI aims to help WRP-CDC in their short-run emergency response efforts as well as to use this current outbreak to help design decision-support tools to better manage future occurrences of Rift Valley Fever.